If your experience of seaweed extends no further than miso soup or seaweed salads at the sushi restaurant, you should get to know dulse. This lesser known type of seaweed could soon become more of a staple not only because of its incredible health benefits bit because when it is cooked, it actually tastes similar to bacon. Dulse is a rich red seaweed commonly found in various parts of the world’s oceans. 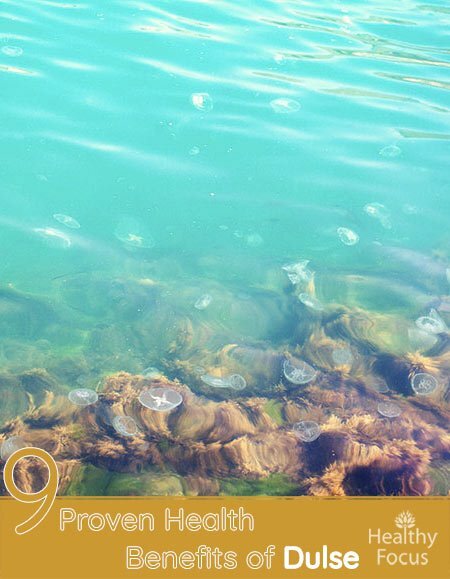 While not as well known as some of the other types of seaweed, it has been eaten for many years, especially in Europe, and confers a number of significant health benefits. Dulse which is known scientifically as Palmara palmata has the chewy texture that you would expect from a seaweed and is often consumed dry or flaked. Most all types of seaweed are extremely nutritious and this type of red algae is no exception. You might find variations in taste and texture depending on the geographical area from which it is harvested. For those of you living near the coast, you might be fortunate enough to find dulse on the shoreline. It can be hand picked then dried, chopped, ground or fried and enjoyed as a healthy medicinal or culinary treat. 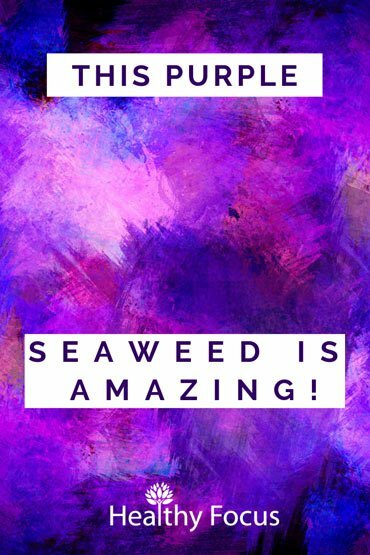 Some of the therapeutic benefits of this seaweed include improved bone health, better vision and reduced blood pressure bit there are many more. Dulse is completely fat free and low in carbohydrates. It also contains several important minerals including calcium, magnesium, phosphorus, iron and potassium. Like most seaweed, dulse is a very rich source of natural iodine which is necessary for proper thyroid function. Dulce is a great source of various minerals that play a vital role in bone strength and development. Calcium, iron and magnesium are all known to contribute to bone health and strength. Osteoporosis is a major concern for all of us as we age and ensuring that you get plenty of dietary calcium can protect our bones from degeneration and weakness. Not only do these minerals contribute to healthier bones but they also help to protect the joints and connective tissues helping you stay stronger and more active for longer. Aging is inevitable but you can do a lot to reduce the effects and prolong your health by eating mineral rich foods like dulse. With heart disease being one of the prominent killers in the modern world, it is essential to take the best care possible of your most important organ. Adding dulse to your diet can help protect your heart and reduce the risk of disease for several reasons. First of all, dulse has excellent antioxidant properties which can protect our cells from free radical damage and the illnesses that stem from it. Dulse is also a great source of potassium which is known to work as a vasodilator. This means that eating dulse and similar natural products can help widen the blood vessels allowing blood to flow more easily. This puts less overall strain on the heart and can help bring blood pressure under control. The list of potential diseases that dulse and its potassium can help prevent includes heart attacks, heart disease, stroke and atherosclerosis. One of the most important health benefits of seaweed including dulse is its ability to ensure good thyroid health. It does this because it contains iodine in very high levels. Without an adequate supply of iodine in the system, the thyroid gland will not be able to function properly. When the thyroid gland is under active, it can cause a variety of serious symptoms. These include fatigue, depression, weight gain and muscular weakness. Other symptoms include a lack of libido and irregular or heavy menstruation in women. A lack of iodine can also cause problems for women during pregnancy because iodine is essential for the proper neural development of the fetus. While an adequate supply of iodine is essential to proper bodily function, it is important to note that overdoing it can also cause problems. Too much iodine can be toxic and can disrupt the function of the thyroid just as much as a deficiency. Dulse contains vitamin A in high levels which gives it the potential to protect the eyes from damage and to improve vision. Vitamin A has well known antioxidant properties which help protect the eyes from cellular damage and reduce the risk of macular degeneration as we age. Vitamin A may also protect against cataracts from developing and is also great for the eyesight in general. Like most types of seaweed, dulse is an excellent source of good quality dietary fiber. Getting ample amounts of this fiber into your diet will make the world of difference to your digestive system. People who are prone to constipation will be especially appreciative of its ability to ease the process of eliminating waste. Fiber of the type found in dulse can help add bulk to the stools but can also help reduce inflammation. As well as relieving constipation, dulse can help treat other common stomach conditions like indigestion, cramps, bloating and diarrhea. Seaweeds like dulse are extremely rich in iron which plays a very important role in producing hemoglobin. High levels of iron in the bloodstream can reduce the risk of conditions like anemia which leave you feeling fatigued and bereft of energy. Anemia can also cause headaches and concentration difficulties. As well as giving you an energy boost, dulse can help ensure your blood circulates effectively around the body. Making sure that your immune system is working as efficiently as possible is key to your general health and paramount to staving off annoying illnesses like the common cold or the flu. Because dulse is so rich in minerals and vitamins it can help keep your immune system at its best. Dulse is especially rich in the vitamin C that is known to have a far-reaching effect on immune system health. Vitamin C also contributes to the body’s growth and its repair. Most people are aware of the relationship between polyunsaturated fatty acid and heart health. Fewer people however realize that these types of fatty acids which are present in seaweed like dulse also have a positive impact on your brain and central nervous system. Dulse is an excellent source of natural antioxidants. Antioxidants are essential to counteract the damage done to the cells from environmental free radicals that we come across every day whether through our food, pollution or household chemicals. Given that it is almost impossible to avoid exposure to free radicals, we need a way to neutralize them. Dietary options like dulse can do this. Not only does consuming antioxidants reduce the risk of serious illness but they also have anti-aging benefits and can make help you to look and feel younger. Fresh dulse tastes pretty much how you would expect seaweed to taste…a bit like the ocean. However, when it is pan-fried, it acquires a smoky flavor reminiscent of bacon. Unless you are scavenging for fresh seaweed, you are more likely to be using dried dulse in flake form. The great thing about dulse is that the nutritional value of your product does not degrade after being dried or powdered. If you store it in a cool, dry place you can use it for up to two years. If you are interested in getting the smoky bacon type effect, simply pan-fry your dulse in oil on a medium heat until it is crisp. You can put it in a BLT type of sandwich as a substitute for the bacon. You can also eat raw or dried dulse it as a simple snack or ad it to your salads and soups.